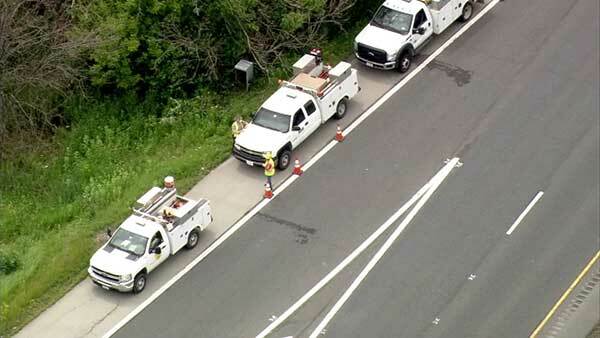 WILMINGTON, Ill. (WLS) -- An electrical worker was injured in an incident just off I-55 near the River Road exit in far south suburban Wilmington. The worker was airlifted to Loyola University Medical Center with burns on his hands. Wilmington is about 15 miles south of Joliet.